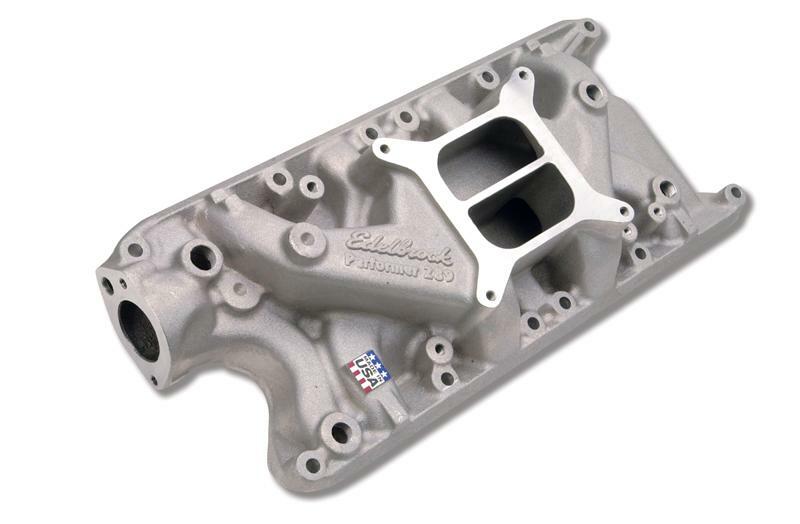 Performer manifolds are dual-plane, low-rise intake manifolds with a 180° firing order and patented runner design that you won’t find in other brands. This patented design greatly improves torque over a wide rpm range for excellent throttle response, especially off-idle through the mid-range. Performers are ideal for passenger cars, trucks, 4×4s, tow vehicles and RVs. There are EGR and non-EGR versions available for most domestic V8 and some V6 engines. Most Performer intakes are 50-state street legal, when used with the correct carburetor and in the correct application. Check the individual listings for detailed information.